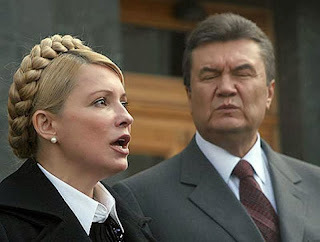 Diplomatic cables leaked from the U.S. Embassy in Ukraine show the embassy believed prior to the 2010 presidential election that Viktor Yanukovych (left) had changed and that he was a better option than Yulia Tymoshenko. The U.S. Embassy cables from Ukraine leaked recently by the website WikiLeaks prompt two observations. The first is that the embassy believed Party of Regions leader Viktor Yanukovych had changed from what he was during the 2004 election, when he sought to come to power through election fraud. The second is that U.S. officials believed Yulia Tymoshenko was not a better option than Yanukovych in the 2010 presidential election. One cable quotes former President Leonid Kuchma as saying the 2010 election was one of "choosing between bad and very bad" -- with Tymoshenko allegedly being the latter. Both of these positions were fundamentally wrong -- especially as seen from the hindsight of Yanukovych's first year in power. The WikiLeaks cables critical of Tymoshenko were a reflection of her own mistakes and of lobbying by U.S. political consultants working for Yanukovych and the Party of Regions since 2005. One of the main criticisms was that Tymoshenko is a "populist," a claim that ignores widespread populism among all Ukrainian politicians. Indeed, Yanukovych was the most populist in the 2010 elections and the prize for the most populist billboard goes to former President Viktor Yushchenko, who promised to place a 20 percent tax on yachts, limousines, and villas. 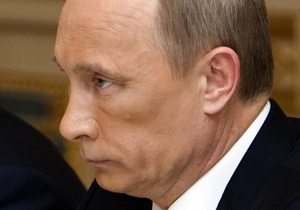 The U.S. Embassy bought into the accusation that Tymoshenko was beholden to Russian Prime Minister Vladimir Putin. 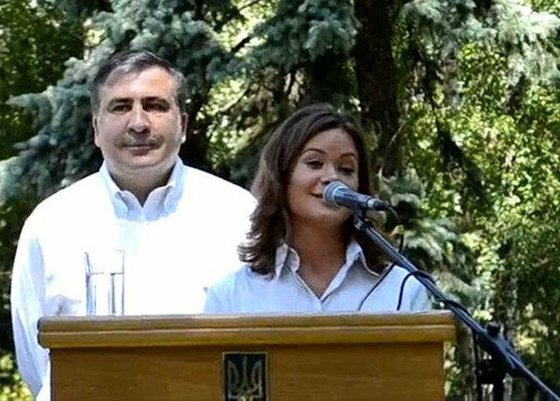 Tymoshenko was allegedly the biggest threat to Ukraine's sovereignty and willing to be Russia's pawn, according to a cable quoting oligarch Dmytro Firtash. Evidence to back this conclusion was her supposed concessions on Georgia during Russia's 2008 invasion and Moscow-friendly positions on the Holodomor and the Black Sea Fleet. 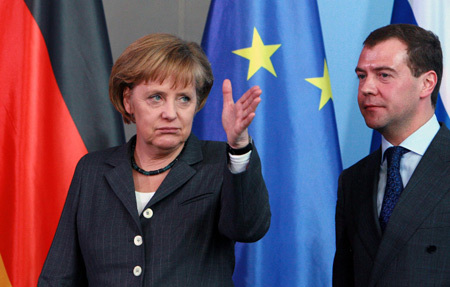 In reality, Yanukovych has caved in to Russia on all three issues. 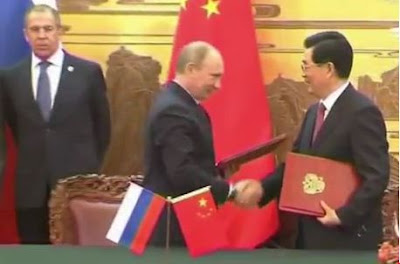 During the Georgian crisis, the Party of Regions and the Communist Party (KPU) supported Russia's dismemberment of Georgia. Likewise, the Party of Regions and the KPU did not support the 2006 law on the Holodomor, and Yanukovych has adopted Russia's position that it was a Soviet (not Ukrainian) famine. As president, he has extended the Black Sea Fleet base in Sevastopol until 2042-47. A January 2010 U.S. cable reports Yanukovych telling the U.S. ambassador that he was ready to extend the base in exchange for economic preferences from Russia. All this led to the mistaken impression that Russia supported both Tymoshenko and Yanukovych in the 2010 election, as they were both "pro-Russian" and Moscow would be satisfied with either winning the election. 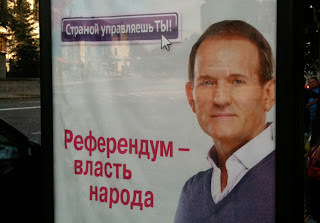 Yushchenko made this argument during the campaign, calling for his supporters not to vote for either candidate in the second round of balloting. That decision probably cost Tymoshenko the election, since she ended up losing by just 3 percentage points. Yanukovych (with Russian Prime Minister Vladimir Putin) "has adopted domestic, national-identity, and foreign policies that are in Russia's national interests." 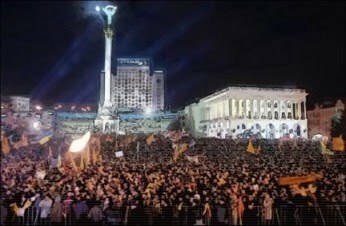 Other cables claimed it made no difference whether Yanukovych or Tymoshenko were elected as both are authoritarian and would allegedly seek to build a "Putinist vertical power." Such analysis contradicted the reality that Tymoshenko did not have the political machine, ability to blackmail deputies, or control of television stations necessary for such a project. In addition, since 2008 Tymoshenko has consistently argued for the need to move toward a full parliamentary system. The authoritarianism of the Party of Regions is well documented among Ukrainian sociologists and has been plain to see during the transformation of parliament into a rubber-stamp institution and the return to a presidential constitution. U.S. cables also buy into the argument of a "pragmatic" wing in the Party of Regions that supposedly desires to unify Ukraine and is pro-European, even possibly willing to compromise on NATO. Such views were intensely lobbied by U.S. political consultants working for the Party of Regions. But the pragmatic wing of the Party of Regions was not evident in 2005-08 when the party voted with the KPU against legislation to join the WTO. 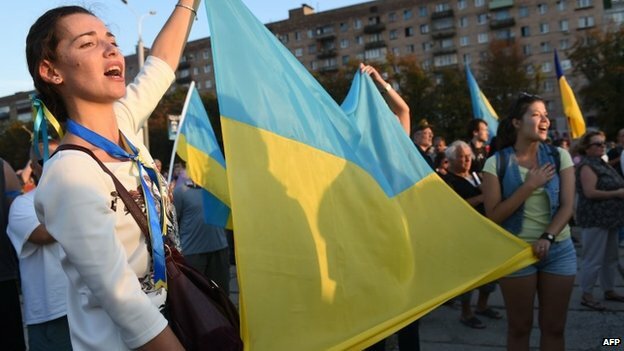 Ukraine's 2008 WTO membership paves the way for the signing of a Deep Free Trade Agreement with the EU, a process the pragmatic wing of the Party of Regions allegedly supports. These cables also ignored the anti-NATO stances of Yanukovych and the Party of Regions, arguing that this was election rhetoric to mobilize eastern Ukrainian voters that would be ignored after the voting. Again this was wrong, as President Yanukovych is the first of four post-Soviet Ukrainian presidents to not support NATO membership. The party has also adopted contradictory positions on Ukraine's participation in NATO's Program for Peace exercises, opposing them when in opposition (leading to the cancellation of the Sea Breeze exercises in 2006 and 2009) and supporting them when in power. U.S. cables from Ukraine also claimed that Yanukovych, if he won the 2010 election, would not be a Russian pawn and would defend Ukraine's interests, even if only in the economic sphere. Although Yanukovych defends his economic interests from Russia, he has adopted domestic, national-identity, and foreign policies that are in Russia's national interests. Russia successfully lobbied for the four candidates who became the chairman of the Security Service (SBU) and ministers of education, foreign affairs, and defense. Russian citizens illegally control the president's bodyguards and the media-analytical section of the presidential administration. U.S. cables from 2005-06 were more critical of the Party of Regions, but in 2008-10 two factors changed. First, public-relations efforts by U.S. consultants persuaded many in the West, including the U.S. Embassy, that Yanukovych had changed. This ignored his unwillingness to concede the election fraud of 2004 and his continued contention that he won that election. A December 2005 cable quotes Yanukovych as complaining that a "putsch" and "Kuchma's machinations" had denied him the presidency. One cable analyzed the Party of Regions' "heavily pro-Russian campaign rhetoric" in 2006, attributing this to its co-option of Communist voters. A second factor that changed the tone in the U.S. cables by 2008 was Western fatigue with the feuding Orange political leaders, Yushchenko and Tymoshenko. The pair had squandered the five years of opportunity given to them by the Orange Revolution. 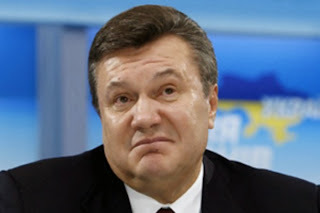 All four elections held on Yanukovych's watch -- two as governor in Donetsk in 1999 and 2002 and two as prime minister and president in 2004 and 2010 -- have been criticized as unfree. U.S. cables from 2005-06 showed that senior members of the Kuchma government who were involved in abuse of office and election fraud were embedded in the Party of Regions, which is described as a "cover for Donetsk criminal circles and oligarchs." 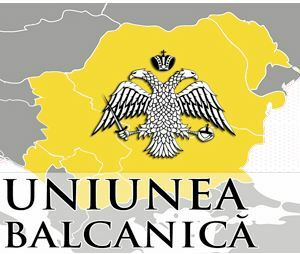 These cables continued to be skeptical about the new face of the Party of Regions and express concern it would abuse state administrative resources, tamper with election laws, and seek to close media outlets they do not control. This is precisely what Yanukovych has done in his first year in office.